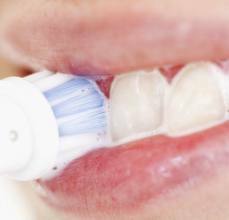 Many people regard cleaning their teeth as tedious. However, it is the basis of daily dental care. There is no dental hygiene or dental prophylaxis without daily tooth cleaning. Today, 60% of extracted teeth had to be removed because of periodontosis, not tooth decay (cavity). This condition is actually unnecessary because periodontal diseases can be avoided. Periodontosis can be treated easily and almost painlessly, if diagnosed early enough. Correct dental care is simple to realize! We are the specialist and show you how to preserve your natural teeth for as long as possible. The following study shows just how important oral hygiene and dental care is for your general health. This study proved a definite relationship between heart attack and bacteria which are present in the mouth. The better the oral hygiene, the less plaque, periodontosis and periodontosis-bacteria. The more these bacteria are present in the mouth, the higher the risk of cardiovascular disease (heart attack) and overall burdening of the body. We can test the presence of these bacteria in your mouth for just 80 Euro.